Place salmon on a baking sheet, skin side down. 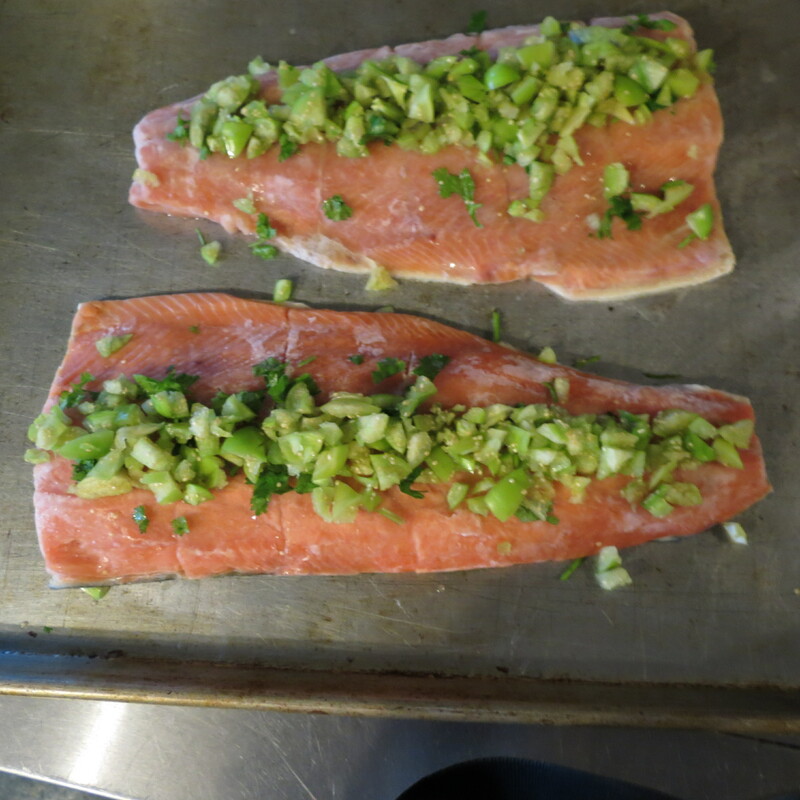 Combine tomatillos, seasalt, lime juice and cilantro and spoon on top of salmon. Bake at 400 for 20 minutes or until salmon meat flakes with a fork. Super easy meal for a crowd!